It’s that time of the year again when everyone around the world celebrate Christmas –a day to mark the birth of our Lord Jesus Christ. Some celebrate because they know the significance of that day, while several others do so just for the fun of it. As another Christmas is here, I have a question on my mind. Do people really understand the true meaning and essence of Christmas? Do they understand what they are celebrating? It reminds me of the story of ants that I read some time ago. A group of ants were marching towards a place all together. The one at the extreme end touched the one in front of him and asked “Johnny, where are we headed?” “I don’t know”, replied Johnny, “I just saw everyone moving and decided to join them!” You will agree with me that this journey will end nowhere. This is the exact way some people celebrate Christmas. They do not know the true essence of it. They are celebrating because others are. They are celebrating the day because it is a national holiday. May I ask you why you are celebrating this Christmas? Christmas without Christ is just an ordinary mass! Period! Can you imagine going for a birthday party without the celebrant in attendance? I am not sure it will be a great party. The true essence of Christmas will be missing if Christ is missing in your heart. Now, there were in the same country shepherds living out in the fields, keeping watch over their flock by night. They were just ordinary shepherds. They were not people in the top echelon of the society. They sat silently on the floor, perhaps perplexed, perhaps in awe, no doubt in amazement. Their night watch had been interrupted by an explosion of light from heaven and a symphony of angels. God goes to those who have time to hear him—so on this cloudless night he went to simple shepherds. Today, as I read the story of Christmas again, I see a couple of things to learn from these shepherds, who the Bible also referred to as wisemen. What vision do you have in your heart? How are you pursuing it? Are you acting on it or giving excuses why it can’t be realized? The wisemen didn’t do this. If you also want to be wise, then act on your God given vision NOW. There was nothing systemic about this worship. No music. No drums. No pianos. I am not sure there was any sound. Only real worship. These men fell down. They literally threw themselves at the saviour! They worshiped with reckless abandon. In the Jewish custom, this was only done to a King. The acknowledged Christ as their Superior King. May I ask you this question? When last have you truly worshipped Him? When last did you throw yourself at Him in reckless abandon? Selah! Not only did these wisemen worship the Lord, they also gave out of their treasures. They gave in abundance. Notice that they didn’t know this family before. They angel never told them to give. They were not under any obligation to give. However, they opened their treasures and gave abundantly. Those gifts were not mere gifts from shepherds. It must have cost them a lot. They gave generously. One other thing struck me about their giving. They gave significantly. The wise men…recognizing Jesus as King of Kings wanted to give their best as well. Each of the three gifts given had both a symbolic meaning and a practical use. •Gold, as it is today was very valuable. To find gold you have to dig underground and find which was very difficult back in Bible times because you didn’t have the tools you have today. •Gold has always been a means of exchange…something that for Mary & Joseph would come in handy as they would soon travel to Egypt and would need food, clothing and shelter. •Symbolically Gold represents kingship. The King that Christ is for us. It also represents the purification process we go through in our trials as a Christian. •Frankincense is made by cutting a tree named “Arbor Thurisfrom” found Persia, Arabia and India. It’s like a sap that is gathered and then dried for 3 months and becomes a like a hardened resin or gum. •Frankincense is used as a perfume but mostly it was burned as sweet incense during worship. During the Exodus Aaron would burn Frankincense at the altar as a sweet offering to the Lord. •Practically Frankincense would be a familiar smell to baby Jesus as this was the same God that was worshiped in the Old Testament. It would also help it getting the stable smelling better with all those animals in there with them. You could say that Frankincense was kinda of the Yankee Candle of that time. •Symbolically Frankincense represented the divinity of Christ because as mentioned Frankincense was burnt as an offering to God. •Myrrh, like Frankincense, also is the sap from a tree that is hardened and then used. However, unlike, Frankincense which is sweet…Myrrh has a bitter taste to it. •Myrrh was mostly used to embalm the dead because it had the property to preserve. It was also used as a perfume, an ingredient of holy ointments mentioned in Exodus but it’s most practical use for Mary & Joseph would be it’s medical uses. Today Myrrh is used today in toothpaste, mouthwash and make-up. •Lastly, Myrrh represents the bitter cup that Christ had to drink in suffering for our sins and the healing for us that his death brings. When celebrating with your loved ones this holiday season, take a moment to remind yourself of the first Christmas and the impact that it has had on the world in which we live. Any wise man today will still do what these wisemen did. Wise men still seek Jesus! There has been a decided paradigm shift over the last fifteen years from humour often being thought of as "silly" or "not appropriate," to it being a welcome addition to practically every area of society. The last five years especially have seen an incredible insurgence of humor into the heretofore "no humor permitted" corporate world. It is interesting how much we pay comedians to make us laugh these days. Professional humorists are one of the top paid people in advanced societies. Check Forbes 100 most paid celebrities and you will find several humourists on the list. It shows the importance that humour plays in our evolving world. So why are we embracing humour now? Out-of-control stress in both work and home life caused people’s pendulums to swing way too far to one side. Humour is now being used as one of the most powerful forces to help swing the pendulum back to center. (And maybe even further, if we’re lucky!). It was so cold where we were,” one man boasted, “that the candle froze and we couldn’t blow it out.” “That’s nothing!” said the other. “Where we were the words came out of our mouths in little pieces of ice and we had to fry them to see what we were talking about. I’m not talking about funny commercials, although they certainly are more memorable than "straight" commercials. I’m talking about a salesperson trying to make a sale. If you can get your prospect to laugh at something in your proposal….or presentation….you have instantly shot to the top of his or her mind. We like people who make us laugh…..and we do business with people we like. And when people are laughing, they don’t feel like they’re being "sold". What can you do to get your laughs? You’re only limited by your imagination. There have been countless medical studies and books written on the healing power of humour. I’m not a doctor but I’ve seen enough cases of this to know its validity. Laughing causes endorphins to be released in the system, and they may be more powerful than diet and exercise put together. (Or so you can tell yourself every time you procrastinate your workout sessions.) I think that’s one of the reasons that so many comedians live such long lives. They are surrounded by laughter….their own and their audience’s. A man was praying, “Lord, is it true that to You a minute is like a thousand years and a penny is like a thousand dollars?” The Lord answered, “Yes.” Then the man asked, “Then can I have a penny?” The Lord replied. “In a minute. The holy creed gives credence to this fact. “A merry heart doeth good like a medicine: but a broken spirit drieth the bones. (Pro 17:22). A good sense of humour will no doubt prolong your life. It is as good (if not better) than medicine. Isn’t that good news for those of us who hates taking drugs! Laughter can do the same job! A speaker is heading to the podium, trips, and falls down. The crowd gasps and there is immediate tension. The speaker quickly looks up and says, "I will now take questions from the floor." A huge laugh follows, and the speaker picks himself up and regains his dignity. Not all of us can think that quickly on their feet….or off their feet, as it were. 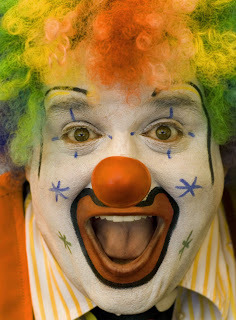 But when faced with a tense situation, the power of humor will work more quickly to diffuse it than any other remedy. A fellow found a note at home from his wife saying that she was suddenly called out of town but that he was going to love his dinner for the evening. He could find it on Page 28 of the cookbook! Another speaker steps onto the platform. Either the wood is rotted, or the supports are bad, but the speaker falls right through the platform, as it collapses around him. Again, tension fills the room. Until the speaker quickly looks up and says, "Don’t mind me. It’s just a stage I’m going through." Both of these stories illustrate how humorous quick thinking can not only diffuse tension, but can raise your credibility to an even higher level than had there been no problem. The bottom line is that humor gets results. No matter what the need is, there is a way that humor can be used to help serve that need. Humour negates anger. Humour creates credibility. Humour gets votes. Humour gets ratings. Humour commands attention. Humour overcomes objections. The list goes on and on. Whatever hurdles you might be facing at work or at home, don’t be afraid to try humour as a technique for clearing that hurdle. 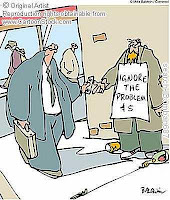 An IQ test question given to a banker, an electrician, and a politician was, “What term would you use to describe the problem that results when outflow exceeds inflow?” The banker wrote, “Overdraft,” the electrician wrote, “Overload,” and the politician wrote, “What problem? You can’t stay mad when you’re laughing. So try to keep laughing. You’ll live longer. You’ll sleep better. And people will wonder what you’re smiling at all the time. When you learn to take life by each passing day, each passing hour, each passing minute and seconds, you will realize indeed that life is short. Yes it is. We are not eternal. Only God is. No matter our vision and plan, we have a time frame to make it happen. Even in societies with advanced health and medical care, life still has a limit. No wonder a wise man once cried out “So teach us to number our days that we may gain a heart of understanding”. Since life is so short, there is only one thing meaningful to do with it – invest it. It’s possible to waste it. Many people do. They will just wake up one day and discover that they are already 70 years old and close to their grave without anything to show for it. They’ve squandered their lives with drug addiction, smoking, too much TV, too much sleep and what have you. Some other people just spend life. They just go through life as it comes. Those are the type of people that ask the day where it has gone. To get the best of life, do not waste time. Do not spend it. Invest it. Invest it in things that will outlast you. It’s a small world. I have established several times on this blog that you are 5-7 people away from everyone on the planet. It is amazing and almost unbelievable how close you are to everyone on the face of the earth. Pay close attention to the people you are meeting today, doing business with today, living with today, lording over today. You will most likely still meet again. Please, be kind to them. You never can tell where else you’ll meet. It may even not be with them. It may be with their families and friends and you’ll be amazed how much small favours you’ve done for them can open giant doors for you. It’s a small world and I recommend that you should be kind…to all. We live in a time where someone has described as the era of 3 C’s – Accelerated Change, Overwhelming Complexities and Intense Competition. Life can indeed be complex. You need wisdom to deal with the complexities of life. Do you know how to get this wisdom? I know how. It will take another write up to tell you how but let me give you a tip. Wisdom is not a “thing”, it is a person! Yes. I will prove it sometime soon. Stay connected. This is one part that people do not really comprehend. They are more comfortable with the status quo and just want to remain in their comfort zone. Unfortunately, that’s not how life works. Life is in Phases. There is a time for everything. Look at it closely. Your childhood was a phase of life. You were largely dependent, weren’t you? You enjoyed things being done for you and all. Then comes the teenage phase where you crave for independence. It’s another phase of life completely, with new skills and challenges. Growing up to settle down with your own family is yet another phase with its own challenges. Moving from phase to phase successfully requires sensitivity. You need to be sensitive to the changes going on in you and around you and make the necessary adjustments. If you are using yesterday’s ideas to do business today, you will surely not be in business tomorrow. Be sensitive to things going on around you. Life is in phases and men are in sizes. Know the particular phase you are in and be sensitive to know when to make a move. Life Is Interesting – Enjoy It! I had a challenging time growing up. Because of my poor background, I leanrt to save a lot and delay gratifications. I grew up with this mentality and even when I started doing pretty well, I still saved quite a lot. I wasn’t even buying things for myself. I was just preparing for the future. One day, as I was reading a book, a powerful truth dawned on me when I read a quote “many people prepare so hard for tomorrow’s rain that they forget to enjoy today’s sunshine”. That described me in its totality. Listen to me folks. Life is interesting. Don’t be too hard or tough on yourself. Enjoy every moment. Celebrate little successes. Take yourself out to lunch. Take that vacation out of the country that you’ve dreamt of. Reward yourself. Pay yourself. Celebrate yourself. I remember once after having a great speaking engagement, I did a celebration for my mouth! Yes, I did. I told myself “you’ve got to celebrate this mouth. It has brought you this far and it will take you to where you are going!” Enjoy life! When people ask me how I am doing, one way I answer is to say “I am enjoying where I am preparatory to where I am going”. Will you join me in saying and meaning this confession? You are destined for the top. No one can stop you,except you. You are unstoppable! Want Success? Raise the Bar! I congratulated the team on the milestone achieved. I told them of the need to feel good about the great result they had delivered. I was however quick to raise the bar for them! I changed the target! My mind immediately played over a story I have read some years back. There was a conversation between a man, and his son, who was practicing to become the best high jumper in the world. Let’s hear from the man. Can I please ask you a question? Where is your bar set? Low enough so you can have a life filled with accomplishments? So high that you continually stretch yourself to climb higher? Somewhere in between: safe yet a little challenging? I believe strongly that each of us can do more. We can accomplish a great deal more than we are doing at the moment. We only need to create the desire, get organized, have balance in our lives, and go for it. We only need to set a new standard of achievement and raise the bar on ourselves and our goals. 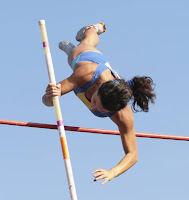 The term “raise the bar” came into common usage in the English language through the track and field sports of high jumping and pole vaulting, where athletes run and jump to propel themselves over obstacles. In each subsequent round of competition, the bar which establishes the vertical height of the obstacle is raised, making the event slightly more challenging. The athlete who displays the greatest stamina and skill successfully crosses the highest bar (or series of them), and wins the event. As applied to life outside of the sporting world, raising the bar most often pertains to setting ever higher expectations of quality or quantity. These expectations may originate externally, imposed by others who are judging performance, or internally, as a method of self improvement. Ideally, the two work in tandem to bring about a new level of achievement unseen in the context of previous measures of excellence. 2. Admire your strong competitors. They prevent you from getting complacent and motivate you and your team. Learn from them and then beat the pants off of them. 3. Create a mindset focused on making the best out of opportunities and resources. This will make you less susceptible to downturns. 4. Don't let yourself get complacent. It will infect your team. When a leader lets up a little, the people they manage let up a lot. I suggest you bite off more than you can chew when making goals for yourself. Stretching won't allow you to get complacent. 5. Stay focused and keep attacking. We sometimes are inclined to coast when we are out in front. Don't play not to lose, play to win outright! So, what are you waiting for? Raise the Bar…..Today! Today, all the states in our Nation Nigeria roll out the drums to celebrate the 49th independence anniversary of our dear nation Nigeria. Big budgets will be spent across the country to celebrate. As I sit writing this, I really wonder what we are celebrating. In my opinion, the only reason we should celebrate is that up till today, Nigeria still remain as one single entity and that we have not yet been declared a failed state! Our 49 years journey to where we are today is at best a sorry case, one whose mystery should be studied at a PhD level in a citadel of learning. How do you explain that despite all the things we are blessed with – human capacity and capability, immense natural resources, great weather- just to mention a few, we are still behind….far behind our contemporaries, even in Africa. I remember that when I was growing up as a kid, there was an influx of Ghanians into this country. They were doing the menials jobs, the best of which was teaching. They were selling “puff puff”, cleaning and shining shoes, and all such things. Remember the “Ghana must go” saga? There was actually a national call to send Ghanians back to their country. Today, all that has changed. In the past one year, do you know how many companies have relocated from Nigeria to Ghana to set up? The number will shock you. The list is growing by the day. It is far cheaper, saner, and safer to run a business there than here. I hope there won’t be a national call in Ghana one day for “Naija must go”. Did anyone see the Vision 20:20:20 document? While I am in support of long tern vision and all that, we are deceiving ourselves in this country. If we do not fix our foundational problems, then, there is only one way we can achieve our vision 20:20:20 – all developing nations of the world, should halt their development for the next 20 years! Mark Stevens, author of “Your Management Sukcs” joked that the most guaranteed way to become a millionaire in America is to go to the airlines business as a billionaire. In the same vein, that is our easiest access to reach our Vision 20:20:20. Others should halt their development. They should stop growing and developing! Then, we have a slim chance of being one of the 1st 20 economies in the year 2020. As long as others a progressing (and they are doing that at an alarming rate), then, our vision 20:20:20 will forever remain a mirage! It will be another avenue for people to siphon public funds into their private accounts. I am not trying to make a mess of the program. I am just stating the obvious. If we do not fix our foundational problems, then, there is only one way we can achieve our vision 20:20:20 – all developing nations of the world, should halt their development for the next 20 years! How on earth have we not been able to solve the power problem for example? In the year 2000 or thereabout, the Government of the day promised us the power problem will be solved. Infact, the then Minister of Power promised to transform the place in 1 year. All that is history now. In 2007, there was a clear commitment to give 10MW before the end of the year. That also is in the past. This year 2009, the government promised 6,000MW by December. Any right thinking Nigerian (who is not in government) knows that will only be possible in our dreams. Is that how big our power problem is? Has it defied all solutions? My best guess is that the technology needed to provide us stable power supply is much simpler than that needed to explore oil. Much more simpler! We need help! How do you see Nigeria at 49? At 49, we are still very close to where we started from. We are still slaves in our own country, still subject to new dimensions of indirect rule. We've been so blessed as a nation, but it currently does not show. There are two lenses to view Nigeria from, there is the lens of reality, it's the rear view mirror, it's small and we must only glance at it once in a while. Then there is the windscreen, it's a bigger lens that speaks of possibilities, but the person who is on the driver’s seat determines what we'll see per time. Nigeria at 49 needs to make a U-turn. What do you think about the Governments 7 Point Agenda? 1. Energy: We need to solve the problem of power and energy – National Council on Energy to drive the energy policy and advice on power, energy and gas… energy emergency to be declared. 2. Security: Treating security as a critical Infrastructure. 3. Wealth Creation: 70% of all revenue comes from oil; need to keep this focused and extended to other areas. 4. Education: Need to address the various problems in the education sector. 5. Land Reform: To provide proper ownership and give a chance to take the land to capital market. 6. Mass Transit: To develop capacity for mass movement of goods and people. 7. Niger Delta: To implement the master plan already developed. I think they are fantastic points in the Agenda. But I think Our nations leadership will be celebrated if they can simply achieve results on the first one. I think it's not very bright to compare ourselves with any other country right now. At least not where we'll be relative to them. Let's focus on having light, on getting more than 13% of our students to pass WAEC, on the very basic issues. Let's stop glamorizing nice sounding numbers 20:20:20 what's that? What happened to 2010? Who is measuring it? If Nigeria is to maximize its potential, what should we be doing? We need to focus our attention on the most powerful segment in this country. The one unit that has the capacity to do more than 100 times all our corporate or individual efforts - The Government. If we have correct political leadership in Nigeria, everything will transform! I hate to say look at Lagos, but it's clear, that right thinking leadership can achieve great results. Greater than any company, NGO, individual or social group. So I say let's get involved in our own leadership. Our silence is a political endorsement of nonsense. If we have correct political leadership in Nigeria, everything will transform! Stop talking about a New Nigeria, as yourself what are you doing to make it happen? Are you making it happen at the highest level you can make it happen? Let's stop deceiving ourselves, the gap between what could have been and what is because we refused to get involved equals the sin of Negligence! When I was hungry... you didn't feed me. God will hold us all accountable for all those murdered by lack of electricity, dead on untarred roads, massacred by impure water. We will give account for what we could have done, you and I! Feel free to share your comments. 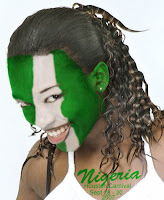 Happy Birthday, Nigeria! All work and no play make Johnny (or is it Jack?) a dull boy they say. It also makes you unsuccessful. The fact is that a well placed vacation can do wonders for every area of your life. I am editing this article i wrote sometime ago, some kilometers away from home, near a beach, enjoying the last weekend of my vacation with my wife, so I am practically enjoying what I am about to write! In this busy world, where we are driven to be producing all the time, it is good to be reminded that a break is sometimes the best thing to move us forward in the long run. I know many people who can't seem to get themselves to break away from the office, thinking that they are getting a lot of work done. I used to be in this group. For my 1st years at work, I never consumed more than half of my vacation days each year. There was a year I didn’t even take any vacation at all! The truth is that we all need a break at certain times, and records as shown that we deliver better results when we return. With that in mind, here are some thoughts on why your vacation is so important for your success. Vacationing help you appreciate your work. After a while even work you normally love can become drudgery. Taking a vacation gets you away and after awhile you begin to miss it and chomp at the bit to get back to it. You simply appreciate it more. Believe me, I miss my work and I can wait to get back! I am sure my boss will be happy to read this! Vacationing makes your body stronger, with more energy for the battle by giving it a rest. The world's top bodybuilders, the ones with the huge muscles know something that the typical businessperson doesn't - the body needs a rest. Every week they take one day off. And then they take whole seasons off and allow their bodies to rest. Our bodies are the same. We need to let them relax, sleep more etc. Vacationing gives you time to encourage your support team - your family. Hmmm. This is a big one. While we are putting in long hours and working hard, our families support us with encouragement and the like. Vacationing let's them know that you value them and can also spend significant amount on time with them if need be. It tells them you value them more than your work. Then, when you get back to work, you know that your "team" it firmly in your corner. Vacationing puts you in a creative mindset. Sometimes being in the same situation gets your imagination stuck in a rut. Watching the sun set, listening to the waves crash, or enjoying the fresh air of the mountains will set your creative imagination soaring. You may find that you come up with all sorts of solutions to work issues while laying on the beach. I don't know how this works... but it does. In the last couple of days, I have been developing an idea on how to solve a chromic problem at work! It’s amazing. Vacationing renews your spirit. We all need an emotional boost. We need a break from the roller coaster of emotions that drain our spirits while at work. Quite frankly, if you do your vacation right, the predominate emotion should be peace. And that is just what you need to get rejuvenated for work. Vacationing proves to you that your work or office can exist without you! Sometimes we overestimate our value to the organization and this puts so much stress on us. The fact is that if you go away for a week, your job will still be there. The company won't be bankrupt, and life will still be going on. 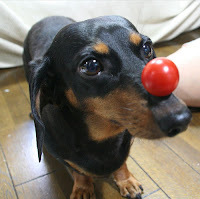 We need to know that work goes on, so that we don't worry so much. Get away and don't call the office! Don’t deceive yourself that the office can run without you! It can….and it will! So what is my advice? Take a vacation. You need one. You deserve one. Life is passing you by my friend, and in the end, you will know you should have taken a vacation. Your office won't fall apart. The earth will continue to turn on its axis. Your family will be happy. Turn off your computer, pick up the phone, dial the travel agent.... your success depends upon it! A recent survey of consumers shows that customers frequently quit a business for the following reasons. Sixty-eight percent of all lost business results from the indifferent, uncaring attitudes of employees toward customers. Developing and maintaining a positive attitude toward yourself, your customers and your job is the first step to developing excellent sales techniques. The President of the Bank of America told the following story which took place some years ago. The Los Angeles branch of the Bank of America is housed in multilevel building with a parking structure on its lower floors. The large sky scrapper housed many businesses. For many years, customers using the bank would not be charged for parking if they simply presented a ticket to the teller for validation with any transaction. Over the years however, people began abusing the privilege by making small or insignificant transactions at the bank, then spending the rest of the day shopping at other businesses in the building. Due to frequent infractions by shrewd customers, the bank reluctantly discontinued the privilege of validating tickets for free and unlimited parking. Validated tickets will henceforth be charged at a discounted hourly rate. One morning, an elderly man dressed in jeans and a flannel shirt waited his turn in a long line of customers. The line slowly inched its way forward, until he made his way to the next open teller’s booth. The man made a small deposit and presented his parking ticket for validation. The teller stamped his ticket and informed him that he’ll have to pay a small amount for the parking. “Why? You’ve never required this before.” The elderly customer replied. The teller, faced with a crowded bank full of impatient customers, snapped, “Well, that’s the new rule. I don’t make them. I just dish them out.” “But I’ve been a customer in the bank for many years” the man persisted. “The least you can do is to validate it like you used to.” “You heard me, Mister. You got a problem with that, see the manager. I have a lot of people waiting behind you. If you could move along, that would make this morning go a little easier.” The flannel shirted gentleman made his way to the end of the long line of waiting customers, and once again inched his way back towards the teller’s booths. When he finally arrived, he approached the first available teller, withdrew $4.2million and went across the street to deposit it in another bank. The teller’s attitude cost the bank $4.2 million! Never underestimate the destruction that can be wrought by a poor attitude. Some months ago, I had an experience with a taxi driver. He picked me up in front of my hotel room to see a friend in what I’ll later find out to be the remote part of town. We agreed on a price (which in my opinion was already of the high side) and then we set off. We spent over 30 minutes trying to locate the place all to no avail. Netweork was bad there also so I could call. This guy kept turning, reversing and asking people for the place. There was not a single time in the trip when he complained! Not once. Even when I gave up and told him to head back to the hotel, he insisted we try one more time. That was when we were able to locate our destination. The guy opined that since it was already late, he’ll wait and pick me up if I didn’t mind. “Of course not” I told him. Throughtout the time I was with him, he left a positive impression on me about having the right attitude. I wouldn’t have been too surprised if he went on and on complaining. I was already doing that! When he dropped me at the hotel, he asked me to please add some money on top of our previous arrangement. I paid him more than double what we agreed and still felt I had not paid him enough. I wasn’t paying for the ride. I was paying for his attitude! Attitude can make or mar your business. As a manager or an entrepreneur, you need to be careful who works for you and with you. My advice is that you value attitude even more than skills. Your employees attitude is even more important that technology. John D. Rockfeller once said, “I will pay a man more for his attitude and his ability to get along with others than for any other skill he may possess”. Every single second of the day, we are all involved in negotiations. You may not realize it, but you are involved in thousands of both formal and informal negotiations everyday. We are all product of negotiations. You wouldn’t be here in this world if there was no negotiation between your mum and your dad! If you got up from your bed today (and I bet you did), your were involved in a negotiation. You had a choice to continue in bed but you gave up this “pleasure” for something. We are all product of negotiations. You wouldn’t be here in this world if there was no negotiation between your mum and your dad! In negotiations, you give up what you have to get what you want. Someone has time and needs money. Another have money and needs time invested to do a work. Negotiation takes place when they each give what they have to get what they want. Negotiations are very important because they determine your future. There are several negotiations taking place that has a direct effect on your future. Infact, the quality of your life tomorrow is dependent on the negotiations you are making today. While going through my notes earlier in the week, I came across a negotiation I read about and studied some years ago and the lessons I learnt from this account. This negotiation is documented in the holy creed. Can you spare a moment to read it? This verse is very rich. Here, a negotiation took place. Very informal negotiation. Right in the family compound. But with far reaching consequences. Esau, the older of the twins in question had gone hunting earlier in the day and returned home with nothing to show for it. Jacob on the other hand was at home and he had cooked a stew. Now, Esau returned home hungry. He needed food. He had the birthright. Jacob had food. He needed the birthright. So, a negotiation proposal was put forward by Jacob. What a proposal it was. Avoid negotiating when you are hungry or tired. It put’s you at a disadvantage. Many great footballers had sold their future to their managers by signing contracts when they were “hungry”. For a young man coming from a club in Africa paying him $1000 a month, a juicy contract of $10,000 a month in Europe sounds too good to be true. Without studying the contract papers, he puts pen to paper immediately only to find out he had sold his future to his agent/manager. He negotiated on an empty stomach. He will realize later in future what a terrible negotiation he had made. A young girl who is “hungry” for a job negotiates away her virginity only to realize the colossal loss. What a shame. I said earlier on, that in negotiations, you give what you have to get what you want. In the story we are considering, Jacob simply underestimated the value of what he had. He had the birthright and the blessings associated with it. However, it meant nothing to him. His value system was wrong. According to him, stew was much more valuable than his birthright! Before you point accusing fingers at Esau, how is your value system? Are you underestimating what you’ve got? Do you value your skills and talents? In the above negotiation, Esau didn’t do anything to negotiate Jacob’s offer down. He could have at least tried. If I were in his shoes, I would have tried negotiating for dinner for the rest of my life if I needed that food that badly. At least, dinner for the rest of his life in exchange for the birthright (though still a foolish choice) would have been a far better deal that just a one time stew. Beat the offer down. Negotiate down. Winners do today what others won’t do, in order to have tomorrow what others won’t have. Whatever you do, please negotiate for the future. Don’t only look out for what you will gain/lose in the immediate present. Look out for the future. What will be the consequence of the negotiation you are doing doing now on your future. Friends, I have since realized that the future is less expensive than the present. It makes a lot of sense to buy the future now. It pays to negotiate for the future now than later. A friend once told me how he spent his 1st salary of 70,000 naira. He invested 35,000 to buy a sophisticated phone and 35,000 to buy IBTC shares. He took a stock of both purchase 4 years after. The phone he bought was stolen 3 months after. The shares he bought is now worth over 250,000! Buy the future. Negotiate for the future. Winners do today what others won’t do, in order to have tomorrow what others won’t have. In the negotiation we are looking at, it was like nothing happened afterwards. Negotiation completed. Both parties went their separate ways. However, the result of that negotiation that took place in the family compound had far reaching consequences. Esau sold his birthright….his blessings. He later sought for it with tears, but it was too late. He sold out his future while enjoying the present. Winners will rather forfeit a prefect present in order to create a perfect future. Do you want to be one? 2009 Vs You - What's The Score At Half Time? One of the most unimportant statistics in a football match is the score at half time. I remember watching the final match of the Confederation Cup last weekend. The United States team was two goals up by the break. If the game had ended then, they would have been champions by now, and for the next 1 year. All that changed in the second half when the almighty Brazil scored 3 great goals to win the tournament. Last night, the half time whistle for this year sounded on all of us! The referee has called for a time out, and it provides a wonderful opportunity to review the strategies of the first half, and decide if we will still continue with it, or make some changes. Remember the definition of insanity. It is “doing the same thing in the same way, and expecting a different result”. I have had a rather busy day today. 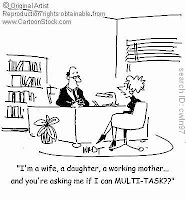 I have had to shuttle between family commitments and work and I must confess it’s not been easy. I feel so tired and worn out. I really feel like jumping on my bed now. However, my heart desires something else. It desires to write. Since I do my best to follow my heart, I am compelled to write. I was travelling from Lagos to Ibadan earlier today by public transport. I met a lady in the bus I travelled in that amused me. She really looked like a very “tush” girl and that was the 1st impression I had about her. She was actually in the bus before me and was helping herself with a Chicken Republic meal. Shortly after I sat down, a guy came beside the window where she was seating, trying to sell her a skirt, “Do I look like a househelp?”, she blurted. “What’s the designer’s label on that”, she further probed. Of course, she left the guy confused. I didn’t know whether to laugh or confront her. She was really mean to the guy. Anyway, that further proved her “tushness” to me. However, in less than 15 minutes, I changed my mind about her. As soon as we set out on our journey, she started throwing everything imaginable out through the window right on the expressway – the bones of the chicken she was eating, the serviettes she used to clean her hands, the nylon bag, the spoons and the drink bottles! I couldn’t take it again. “That’s not right” I finally said. “Why don’t you put everything in that nylon bag? We need to keep our nation clean” I continued. Well, she didn’t agree with me! According to her, “This is Nigeria. The Roads are already dirty anyway. Whether I throw that out or not, the place is already a mess”. What an interesting submission. Have you heard people around you say that? I have heard all sorts –“If you don’t take that bribe, someone else will. The nation is corrupt”. “Why are you bothering yourself obeying the traffic lights? No one else is obeying it!” “You cannot be a successful business man in Nigeria without bribing your way through”. I am sure you can list a dozen more. What do you do when the “little” you are doing in your corner doesn’t seem to make sense? What do you do when right seems wrong? What do you do when you are being abused by other roads users because you are trying to obey traffic rules? What do you do when you feel that the little you are doing doesn’t affect the overall outcome anyway? I recommend that you remember this story – it’s one of my favourite stories. It is the story of the star fish. Once upon a time, there was a wise man that used to go to the ocean to do his writing. He had a habit of walking on the beach before he began his work. One day, as he was walking along the shore, he looked down the beach and saw a human figure moving like a dancer. He smiled to himself at the thought of someone who would dance to the day, and so, he walked faster to catch up. As he got closer, he noticed that the figure was that of a young man, and that what he was doing was not dancing at all. The young man was reaching down to the shore, picking up small objects, and throwing them into the ocean. He came closer still and called out "Good morning! May I ask what it is that you are doing? "The young man paused, looked up, and replied "Throwing starfish into the ocean." "I must ask, then, why are you throwing starfish into the ocean?" asked the somewhat startled wise man. To this, the young man replied, "The sun is up and the tide is going out. If I don't throw them in, they'll die." Upon hearing this, the wise man commented, "But, young man, do you not realize that there are miles and miles of beach and there are starfish all along every mile? You can't possibly make a difference!" At this, the young man bent down, picked up yet another starfish, and threw it into the ocean. As it met the water, he said, "It made a difference for that one." I am sure you get the morale of the story. What you are doing may not make sense to others and may not affect the whole nation, but it may affect an individual and change him for life. It can affect a community. When your young son is sitting beside you, while you insist on obeying traffic rules, you are laying a great foundation for his future. When you refuse to accept bribes, despite the fact that others are doing it, you are touching someone at least. When you do things right, someone is watching…and that someone can be positively affected for the rest of his life. To that one, the little thing that you are doing makes all the difference! Now, sleep is beckoning and I must respond now! Hope you have picked up a thing or two from my ramblings. I just got back from Ife (Obafemi Awolowo University) some minutes ago. I actually wanted to write this in the car on my way back but the ride was too bumpy for me to concentrate. I think I need a four wheeler. I was privileged to share with groups of Final Year Students who have a semester left before they face the “world”. In as much as a lot of them are eager to see what the future holds, they are also afraid of what is waiting for them out there. Hence, the program “Beyond Ife” was put together to help equip them for tomorrow. It is a 4 week program and I was scheduled to speak on week 2, along with Steven Chiazor, Head of HR for Virgin Nigeria. To say the least, it was a blast. I had a good time and the responses after the meeting was overly encouraging. I spoke on the topic “As you like it”. Let me start with a story I shared. It’s fictions anyway. There once lived an old man who could answer any question rightly and correctly. He could tell you whatever you wanted to know, even what you ate the last time! In the same place, there lived two young lads who decided to take the man up and ask him a question that he will get wrong. They wanted to prove to him that he was not the “all wise” after all. They went to the bush and shot a bird, leaving the bird half dead. They then thought within to themselves that they will take the bird to the man and ask him if the bird they are holding behind them is dead or alive. They reasoned that if the old man answered that the bird is dead, they will bring it out half alive and would have proved him wrong. If he answered otherwise that the bird was alive, they will snuff the remaining life out of the bird and present it to the man dead. Whichever way, they were going to prove him wrong by all means. The plan looked so perfect and water tight. So, they did what they had planned and went to see the old man. “Old man”, they said when they got there, “can you please tell us what we have behind us”? Without turning towards them, the old man answered calmly “My children. Behind you, you have a bird, whether dead or alive, it is as you like it!” What an answer. The message of the story is very clear. Life will deliver to you whatever you like. You have in your hands a great future ahead of you. What eventually happens to you is what you make out of it. You can achieve excellence in life and at work if you really like it. There are always challenges in life, and rightfully so. Life is full of challenges. Infact, God never called us to a challenge free life. He didn’t call us to a burden free life. He called us to a burden light life. “Take my yoke upon you, for my yoke is easy and my burden is light” says the scriptures. Listen to me friends. I have discovered that any coin with one side is a useless coin! Now, due to several challenges that will come your way in life, the odds are against you that you will not succeed. Yes, you heard/read me right! It is very likely that you will add to the statistics and be among the 90% of the world population that will not succeed. There is only a slim 10% chance that you will make it! How then do you position yourself to be among this successful 10%? Read on. Any regular visitor to my blog knows how often I write about having the right attitude. For me, it gives a winning edge. It compensates for many other things. Attitude, more than aptitude, determine your altitude. How you respond to things is, in my opinion, more important that your intelligence. It is not what happens to you that really matters. It is what happened in you as a result of what happened to you. All things being equal, attitude wins. All things not being equal, attitude still sometimes win! I encourage you to be an incurable optimist. Things turn out best for those who make the best of the way things turn out. In a world of accelerated changes and overwhelming complexities, you need to sharpen your skills, in order to remain competitive. What can you do with your hands? This is what will give you an edge over others. My most popular character in the Bible is Joseph. An analysis of his life is a celebration of improved skills. First, we saw him dreaming and dreaming. Then, he moved to interpreting dreams for others. By the time he was done, he was not only interpreting dreams but also proffering solutions for the dreams interpreted! Amazing. The difference between 1.000, 10.00, 100.0 and 1000 is just the position of the decimal point (the dot). May I put it to you that your skill is that dot! It is what gives you value. Again, what can you do with your hands! In the school of success, the only substitute to hardwork is a hard life. Make your choice. I see so many lazy Christians blaming the devil. “Golden opportunities are nothing to laziness, but hardwork makes the commonest chance golden” says a wise man. May I say point blank that the dignity of labour is the greatest of all dignities. Everywhere else in the world, except in the dictionary, “work” comes before “success”. Have you ever heard about being an overnight success? Probably yes. What you have not heard is that those who become overnight successes worked throughout the night. Put your hands to work! Never underestimate the power of a relationship. It would be a big mistake. We live today in a global village. You are 5 persons away from everyone on this planet. You don’t necessarily need money to make money. All you need is an idea….and the right relationship. Relationships can open doors for you that money cannot open. I can predict where you will be in another 5 years if I know the value of the relationships you are cultivating today. Yes, I can, with precision. Your friends are more strategic to your destiny than your enemies. I advise you rather focus on that than wasting your precious time on your enemies. Cultivate right relationships and you will be on your way to the top. Having done all….you need God! Favour separates you from the crowd and showcases you. It is the divine edge that makes you shine above your contemporaries who are working as hard and are also skillful. It is the God factor that comes to bear on your behalf. It is God adding to “extra” to your “ordinary” to make it “extraordinary”. May you enjoy the favour of the almighty! downwards. I think both extremes are not okay.It will make sense to be a 6 0’clock believer, with the longer arm facing upwards (heaven) and the shorter arm facing downwards (earth). In order words, one is very heavenly conscious and still useful on earth. It’s another way of saying that one enjoys the best of both worlds! Halleluyah! Jesus, our Lord and master is the greatest example of this. He lived life every day, constantly in touch with heaven, while being a blessing here on earth. He deployed his Spirit in a way that heaven was always with him. He lived his life (just like we all do) as an outflow of His Spirit. There is no way anyone can develop more than his/her Spirit. One of the greatest aberrations today amongst Christians is the thought or notion that their spiritual life is quite different and separate from their “other” lives. They only get “into the Spirit” when they are in church/fellowship, praying or reading the Bible. They deny themselves the opportunity to enjoy the best. Listen. Your academics is not separate from your spiritual life. Yes, it is not. When you live life as an outflow of your spirit, your academics will have no choice but to conform. Then, you live a supernatural life. How do you bring heaven down? How do you command the supernatural in your life on a daily basis? How do you deplore your spirit to experience God in all aspects of your life? How do you command the manifest presence of God? How do you make sure you enjoy the best of heaven on earth on a continuous basis? An atmosphere of worship is an atmosphere for the miraculous. When you surround yourself with an atmosphere of worship, then you bring heaven down. In 2 Chronicles 20, there is a wonderful story there on how worship can bring heaven down. The children of Ammon, Moab and Mount Seir were going to invade Israel. The King of Israel, Jehoshaphat, cried up to heaven for direction on what to do. The instruction from the prophet was somewhat funny. Raise a choir! Let people sing and worship! Can you imagine how easy is it to sing when you are faced with double barrel guns and AK riffles? I bet it wasn’t an easy task. However, as they worshipped, heaven came down! The Lord set ambush against the children of Ammon, Moab and Mount Seir.They faced themselves and destroyed one another. Without raising a sword, shooting an arrow or a gun, the children of Israel won the battle. Learn to surround yourself with an atmosphere of worship. Play worship tapes in your car. Play them in the house. Let it be the most popular on your laptop. Most importantly, play it in your heart. You will be amazed how heaven will come to bear on your behalf. Faith brings the spiritual to the physical. It makes you live a life beyond limits! The whole world was framed by faith, though the word of God. Everything on earth will still be framed/reframed by faith through the word of God. When you live a life of faith, you will witness the miraculous on a constant basis. Elisha was once such man that lived a great life of faith. Impossibility didn’t exist in his dictionary. No wander, at every point in his life, and even in his death, he commanded the supernatural. Without faith, you cannot enjoy the best of both worlds. One of the easiest ways to command the supernatural is compassion. Whenever love and compassion is in play, heaven comes to bear. Jesus easily enjoyed the best of heaven here on earth, because he was always moved with love and compassion. When he had compassion on 5000 men who had been following him without eating for a while, heaven stood at attention. 12 loaves and few fishes could feed all of them. That’s not natural. That is heaven coming to earth. The provision was provoked because of love and compassion. When you are moved by love and compassion, you will also provoke the supernatural. Without holiness, no man shall see God, says the scriptures. Many people think that the Bible here is only talking about seeing God in heaven. Far from it. Without holiness, you will not see God move on your behalf even here on earth! God will never stand at attention on your behalf if you live a life on sin. Sin is a sinker. It is your purity that determines your authority. When a man pleases God, God places all the resources of heaven at his disposal. Do you want to bring heaven down on your behalf? Then, live straight! Live pure. You will not enjoy the best of both worlds by having one leg each in both! When you are sold out to God, then he delivers everything in his Kingdom to your hands. What a glorious opportunity. First and foremost, obey God’s word. Obey the scriptures. They contain directions to bringing heaven down. Not only should you obey the Bible, you must also obey the nudging and promptings of the Holy Spirit. Friends, you can bring heaven down. You can live a life about limits. You can enjoy the best of heaven while on earth. You can command the supernatural in your life on a daily basis. Yes, you can! It is 3.55p.m on a Saturday afternoon. I am sitting somewhere in the Ataturk International Airport in Istanbul, waiting to catch my flight back home. I always miss home whenever I travel, especially the wonderful angels under my roof! It’s been a week since I last hugged them at the airport. I can’t wait to hold them in my embrace. So, I have spent the last one week in Istanbul, Turkey. It’s a beautiful city I suppose. Apart from the difficulty with people not being able to speak English, it was a good time. It didn’t take long before I realized that Istanbul is divided into 2 parts. It’s like having 2 different cities, with different features and lifestyles, in 1. There is the Asian side as well as the European side. You can cross over from one part to the other within an hour or two, depending on the traffic. As you do that, you will marvel at the difference that exists between both sides of the capital. It is so distinct that you won’t believe you are in the same city. The Asian side is still very much underdeveloped, more serene and things are relatively cheap there. All these changes in about 1 hour! The European side is very busy, has very high traffic like any other busy city (both human and vehicles) and things are somewhat expensive there. At Taksim Square (the most popular area of the European side), I saw a crowd that I probably have never seen in my life before. It was amazing! I wouldn’t have bored you with the description above if I wasn’t about to make a point. The point is this - I did enjoy the best of both the Asian and European side of Istanbul in this one week. While I stayed in the Asian side and enjoyed the serenity, I went to the European side to enjoy its beauty and its many activities. I enjoyed the best of both sides. That gave me more insight into a message I once preached a couple of years back. I titled it – Enjoying the best of two worlds. Let me share some more insight on this, if you don’t mind. It is often said that “you cannot eat your cake and have it”. It is either you eat your cake (in which case you do not have it) or have your cake (in which case you do not eat it). While I agree with the logic of the statement, I do not believe in its literal meaning. I believe strongly that one thing does not have to suffer at the expense of the other. You do not have to lose out on your health because you are pursuing wealth. You can have both. You can lead a wonderful family life while still excelling in your career. You do not have to sacrifice one for the other. In other word, you can enjoy the best of 2 worlds. Recall that man is primarily a spirit, in the very likeness of God. Many people forget this very important fact. They think that they are physical beings who sometimes go through spiritual experiences. These experiences make them feel “high”. This is a very wrong concept. Man is a spirit. We are spiritual beings that constantly go through physical experiences. We live in 2 worlds! It is very possible to enjoy one of these worlds to the detriment of the other. I have seen very spiritual people who are not doing well here on earth. Back in the university, we had Pastors who spent 2-3 years extra in school, despite being sharp spiritually. Also, I am sure you know, or have read about, very successful business men who are “empty” in their spirit. I know highly intelligent and smart people, who you wish only knew God. These 2 extremes are aberrations. That’s not how the creator designed it. He designed both worlds to be enjoyed in a complementary manner. You do not have to suffer here on earth to make heaven. Yes, you don’t! Infact, when Jesus came, he told his listeners “Now, is the Kingdom of God come unto you”. Literarily, what he was saying is this – You don’t have to wait to get to heaven. I am bringing heaven to you here on earth! Wonderful! I have tried to explain that above. Whether you realize it or not, we are living in both the spiritual and physical world simultaneously. I am sure that at least you are aware of the physical world. Be aware also that you live in the spirit. We are spirit being that goes through physical experiences. Believe me, there is so much activity in both worlds. Again, the activity in the physical world is quite obvious. Go to major cities of the world and you will be amazed at the activity going on in the physical. 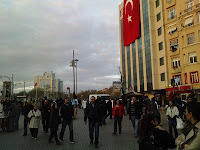 I saw one at Taksim Square. From Lagos to London, to Dubai, check out the activity in the realm of the physical. What you are not aware of is this – there is much more activity in the realm of the spirit! In God’s holy book, there is a story that explains this. Elisha, a prophet, was attacked by a strong army. When his servant, Gehazi saw the multitude of soldiers in the physical, he was naturally afraid. He must have said to himself “We are finished. This is it”. However, Elisha saw differently! He told him confidently “They that are for us are greater than they that are against us”. Interesting! What Elisha saw was the activity in the spirit. There was already a host of angels dispersed to fight on his behalf. Gehazi saw only the physical and was afraid. That what happens to those who only see in the realm of the physical. They are overwhelmed by the activity therein. Those who see in the realm of the spirit know better. And because they know better, they live better. They sleep better. They live longer! There are angels in the realm of the spirit acting on your behalf! Not only are both worlds active, they are mutually dependent. Can you imagine that? Whatever we do in the realm of the physical, affects heaven. Yes, it does. Let me give you an example. God’s word says “There is joy in heaven over a sinner that repents…” When we preach to a sinner here on earth, and he come to God, a party begins in heaven. Isn’t it interesting that you can cause heaven to rejoice? Let me give you yet another example. God’s word says “Whatever you bind on earth shall be bound ion heaven”. You see- whatever we do on earth affects heaven, and vice versa. Shouldn’t you be more conscious of what you then do in the realm of the physical, seeing that it affects the realm of the spirit? That seems to be pretty obvious but it needs to be stressed. Whether positively or negatively, the Spiritual governs the physical. Infact, nothing happens in the physical without it happening in the spirit. I have seen both sides of the spirit controlling the physical. I have seen people manipulated by demons and devils on the realm of the spirit and manifesting it in the physical. How else would you explain someone who found himself in Lagos, without knowing how and when he left London? He just left, boarded a plane and didn’t know what he was doing until he was at MMA Airport in Lagos. I once wrote an exam that ordinarily should have failed. Despite the fact that I didn’t answer the questions too well. There was a confidence in me, based on revelations in God’s word that I won’t fail. Not only did I pass, I also got a distinction. That is the spiritual controlling the physical. Heaven came to bear on earth. Listen to me friends. Until you realize that heaven rules, you will suffer here on earth. It is not in all these waking up early and sleeping late. It’s not in all the certifications and qualifications you are getting (get them anyway). It is God! It is God coming to rule on your behalf and orchestrating events in your favour! I will have to continue this later. My boarding announcement has just been made. It is now 5.35p.m. I still have a stopover before heading home. I’ll see if I can complete this. If not, stay right on top until I see you again. Till then, enjoy the best of both worlds! My wife shared with me an article she read sometimes last week. I am going to use the story in the article as a basis for my discourse today. This story is about a man who once upon a time was selling Hotdogs by the roadside. He was illiterate, so he never read newspapers. He was hard of hearing, so he never listened to the radio. His eyes were weak, so he never watched television. But enthusiastically, he sold lots of hotdogs. He was smart enough to offer some attractive schemes to increase his sales. His sales and profit went up. He ordered more and more raw material and buns and sold more. He recruited more supporting staff to serve more customers. He started offering home deliveries. Eventually he got himself a bigger and better stove. As his business was growing, the son, who had recently graduated from college, joined his father. Then something strange happened. The son asked, "Dad, aren't you aware of the great recession that is coming our way?" The father replied, "No, but tell me about it." The son said, "The international situation is terrible. The domestic situation is even worse. We should be prepared for the coming bad times." The man thought that since his son had been to college, read the papers, listened to the radio and watched TV. He ought to know and his advice should not be taken lightly. So the next day onwards, the father cut down the his raw material order and buns, took down the colorful signboard, removed all the special schemes he was offering to the customers and was no longer as enthusiastic. He reduced his staff strength by giving layoffs. Very soon, fewer and fewer people bothered to stop at his Hotdog stand. And his sales started coming down rapidly and so did the profit. The father said to his son, "Son, you were right". "We are in the middle of a recession and crisis. I am glad you warned me ahead of time." Moral of the Story: It's all in your MIND! And we actually FUEL this recession much more than we think. What an interesting story. Does this story permit us to be ignorant of what is going on around us? Does it suggest that we care less about what is happening around the world and how it affects us? Is the morale behind the story that we shouldn’t believe global financial reports? I am not sure of that. What I will suggest is this-Do not be ignorant, but it is okay to ignore some of the negative news! Let me explain. I believe strongly in the efficacy of God’s word. Before the world came, and its systems (including its financial system), God’s word already existed. Whenever God speak, it is done! His word is as powerful as himself. If God says a thing, it is more important than what anyone else says. His word is superior to the news! His word is superior to intelligence reports. There is a story in the Bible (God’s word), that typifies the type of time that we are in at the moment. There was a famine in Samaria. There was a financial meltdown. It was so bad that people were killing their children for food. Can you imagine that! People were confused. They ran to the king but he couldn’t help them. He told them in clear terms “ If God does not help you, then who am I to help you”. Amazing. He was in the same situation that our world leaders are in today. He didn’t just have a solution. In the midst of the crisis, God’s word came forth “ By this time tomorrow, a barley of wheat shall be sold for a shekel ”. Wow! That was against common sense. It was against all economic principles. The chief economic adviser to the King then said “ If the Lord shall make windows in heaven, might these things be?” True to God’s word, and against all economic projections, a barley was sold for a shekel, right at the gate of Samaria, the next day. Hard work : All hard work bring a profit, but mere talk leads only to poverty. Spending : If you buy things you don't need, you'll soon sell things you need. Savings : Don't save what is left after spending; Spend what is left after saving. Borrowings : The borrower becomes the lender's slave. Accounting : It's no use carrying an umbrella, if your shoes are leaking. Investment : Don't put all your eggs in one basket. I'm certain that those who have already been practicing these principles remain financially healthy. I'm equally confident that those who resolve to start practicing these principles will quickly regain their financial health. Don’t Be Ignorant; But you can choose to Ignore! In his book “Talent Is Not Enough”, John Maxwell shares a thought that is what stating here. He said “Talent is often overrated and frequently misunderstood”. When people achieve great things, others often explain their accomplishments by simply attributing everything to talent. That is a false and misleading way to look at success. I am sure you know highly talented people who are not successful. Just look around you. Many people are obsessed with talent. They think this is the answer to every problem. Far be it. Talent alone is never enough. Before you label me as anti talent, let me tell you what I believe about talent. Talent is important. Talent is God given and should be celebrated. Talent enables people to do extraordinary things. It stands you out and gets you noticed. In the beginning, it separates you from the rest of the pack. It gives you a head start on others. However, this will not be forever. Too many people who start with an advantage over others lose that advantage because they rest on their talent instead of raising it. I like the way that bestselling author Stephen King puts it. He said “Talent is cheaper than table salt. 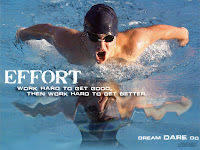 What separates the talented individual from successful ones is a lot of hard work”. Characteristics like punctuality, effort, patience and unselfishness are more important in the school of success than mere talent. There is a story that comes to my mind here. It’s the story of one of the best professional footballers Nigeria has ever produced. He was one of the 1st Nigerians to play professional football out of the country and was making a lot of money from it. He was adored by many and was a “wizard” on the ball. I am talking about Etim Esin. While preparing for the U20 world cup in Chile (in 1987, I guess), he was shot by armed robbers on his way from a night club, while still in camp! His talents were so great that he had to be rushed out of the country for a surgical operation in order to make him fit for the world cup. Needless to say that, he, and the whole team performed woefully at the event. Even after the event, his wild life will not let him rest. In a few years, he was off the stage. I am sure many young Nigerian football lovers will find it difficult to remember him. They will however remember people who are far less talented but used their skills to help their fatherland. It is character that protects your talent. You can never climb beyond the limitations of your character. If you do, be ready for a free fall! Absence of strong character eventually topples talent. You can never climb beyond the limitations of your character. If you do, be ready for a free fall! The enron example and several other examples are there to show that. People are very much like icebergs. There’s much more to them than meets the eye. Only about 15% of an iceberg is visible. That’s the talent. The rest (the character) is below the surface, hidden. It’s what they do and think when no one is watching them. The greater the talent is, the greater the need is for strong character. If they are “too heavy” with talent, then they are likely to get into trouble. Talent will most certainly bring you into limelight, but it’s not likely to keep you there for long, except you develop strong character. Developing talent without developing character is a dead end. If your life is long on talent, but short on character, then, your life will always be out of balance! Have you ever been on the same team with a highly talented individual? If you have, chances are high that you would have also seen someone who is very unteachable. Afterall, he is a star! He knows it all. Who the hell are you to tell him what to do and how to do it? If you cannot be teachable, having talent won’t help you. It will get in your way of success. One of the paradoxes of life is that things that initially make you successful are rarely the things that keep you successful. You have to remain open to new ideas and be willing to learn. If you want to expand your talent, you must become teachable. “The most important skill to acquire is learning how to learn” says Author John Naisbitt. People who are teachable are often a greater assets than people who are merely talented. People who are teachable are continually growing and improving by the day. They look out for new opportunities to learn. They are easier to work with and are better team players. While a coach will definitely like to have talents on his team, he will be more successful in the long term, if he has a team full of people who are ready and willing to learn…from him and from each other. There would never be a talent shortage in the world. Talent is God given and as long as there are people in the world, there will be plenty of talent. What is missing are people who have made the choices necessary to maximize their talent. Talent in itself is not enough. Talent in itself is a myth. Well....i couldn't finish this before my son got up! He is currently struggling with the laptop with me. Hmmm.....looks like that is his own talent (lol)! Till i come your way again, stay right at the top of the topmost top! Right now, I am in a conference room at work. I just finalized a presentation due to be submitted before the week runs out. I have worked for Procter and Gamble now for 6years and with each passing day, I keep learning. I have worked with very great people, all with different strengths and different styles. I have worked with 5 different direct bosses, from 4 different nationalities. I have worked with people who succeeded in there assignment and those who failed woefully. In all this, I have come to a conclusion that I want to write about in this piece. You need more than talent to succeed! Talent, all by itself cannot bring you success. You need more than talent to succeed! Talent, all by itself cannot bring you success. At some point in your life you noticed that some people were unusually good at certain things. The brainiac who aced all his exams. The star jock that scored both on and off the court. The person who oozed charisma and everyone loved. What makes Tiger Woods great? What made Chairman Warren Buffett the world's premier investor? Why were they successful? Some people probably told you it was because they had talent, a natural affinity for greatness. I think they are full of crap. Well, folks, it's not so simple. For one thing, you do not possess a natural gift for a certain job, because targeted natural gifts don't exist. (Sorry, Warren.) You are not a born CEO or investor or chess grandmaster. You will achieve greatness only through an enormous amount of hard work over many years. And not just any hard work, but work of a particular type that's demanding and painful. This lie of talent, of gifted-ness has to be one of the most poisonous lies people have deceived themselves into believing. The belief that certain people, maybe even us, were born with abilities that you lack the power to replicate. Unfortunately, if you tell a big enough lie enough times, people start to believe it. Long ago people use to believe that the earth was flat; the sun revolved around us and lightning was hurled from the top of a mountain by a guy who gave birth to one of his daughters from his forehead (lol). Just because something can explain an observation, doesn’t mean it is correct. The same is true for the myth of talent. Buffett, for instance, is famed for his discipline and the hours he spends studying financial statements of potential investment targets. The good news is that your lack of a natural gift is irrelevant - talent has little to do with greatness. You can make yourself into any number of things, and you can even make yourself great. Scientific experts are producing remarkably consistent findings across a wide array of fields. Understand that talent doesn't mean intelligence, motivation or personality traits. It's an innate ability to do some specific activity especially well. In an extensive study, evidences surveyed do not support the notion that excelling is a consequence of possessing innate gifts. Researchers are beginning to say that talents are developed from huge amounts of conscious training, rather than gift. Michael Jordan may have been born slightly better suited for basketball, but without all the years of training, nobody would take a second look at his ‘talent’. The first major conclusion is that nobody is great without work. It's nice to believe that if you find the field where you're naturally gifted, you'll be great from day one, but it doesn't happen. There's no evidence of high-level performance without experience or practice. Your talent may set you up for success, but hardwork is what delivers success to your hands. Reinforcing that no-free-lunch finding is vast evidence that even the most accomplished people need around ten years of hard work before becoming world-class, a pattern so well established researchers call it the ten-year rule. What about Bobby Fischer, who became a chess grandmaster at 16? Turns out the rule holds: He'd had nine years of intensive study. And as John Horn of the University of Southern California and Hiromi Masunaga of California State University observe, "The ten-year rule represents a very rough estimate, and most researchers regard it as a minimum, not an average." In many fields (music, literature) elite performers need 20 or 30 years' experience before hitting their zenith. In the school of success, the only substitute to hard work is hard life! So greatness isn't handed to anyone; it requires a lot of hard work. In the school of success, the only substitute to hard work is hard life! The choice is really yours. The dictionary is the only place in the whole world, where “Success”, comes before “Work”. Yet that isn't enough, since many people work hard for decades without approaching greatness or even getting significantly better. What's missing? Consistency is crucial. As Ericsson notes, "Elite performers in many diverse domains have been found to practice, on the average, roughly the same amount every day, including weekends." Evidence crosses a remarkable range of fields. In a study of 20-year-old violinists by Ericsson and colleagues, the best group (judged by conservatory teachers) averaged 10,000 hours of deliberate practice over their lives; the next-best averaged 7,500 hours; and the next, 5,000. It's the same story in surgery, insurance sales, and virtually every sport. More deliberate practice equals better performance. Tons of it equals great performance. Let go of the belief that others have a talent you can’t learn. Success is a skill. Skills come from an intention to work and the formula for doing so. Don’t fall into believing the myth of talent. Oopssss….it’s time for another meeting. I have to run now. I’m still thinking about this myth…..